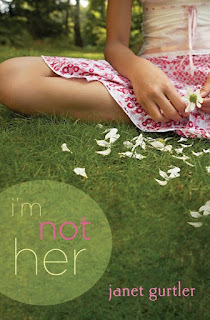 KidsEBookBestsellers.com: Janet Gurtler's I'M NOT HER: A B & N Nook Bestseller! Janet Gurtler's I'M NOT HER: A B & N Nook Bestseller! On September 8th, I'm Not Her by Janet Gurtler hit the number 2 spot in the Teen section of the Barnes & Noble Nook store. 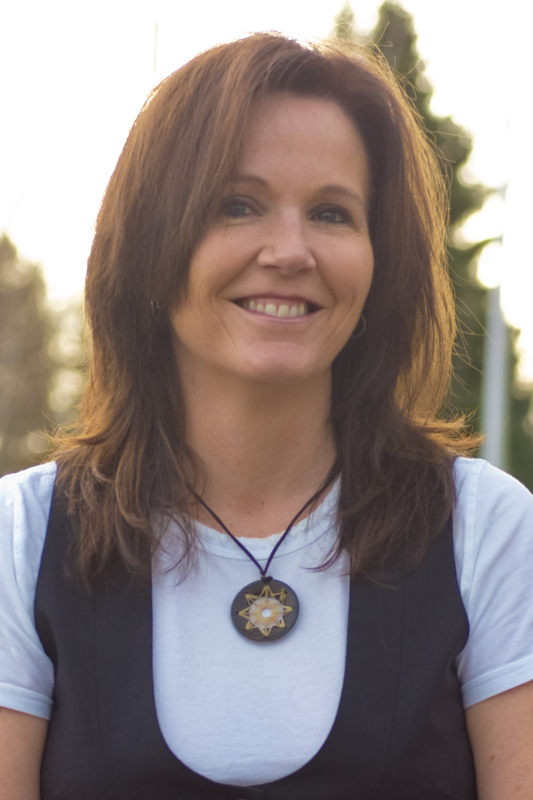 Janet kindly agreed to tell us about her successful e-format experience. For starters, tell us what your book is about. I’m Not Her is a story about two sisters who each have a “role” to play in their families. Kristina is the perfect sister but when cancer literally takes her perfection from her, Tess the younger and less visible sister must step up and deal with a shift in their family roles. It’s a book about how our people aren’t always who we think they are. It’s a book about discovering yourself and standing up for what you want. It’s about dealing with change and growing. How did you get published: Traditionally or independently? I have only been traditionally published at this point in my career. 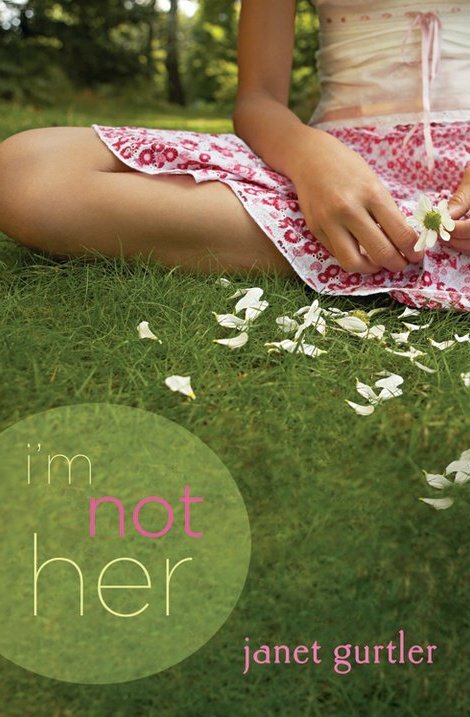 I’M NOT HER is published by Sourcebooks Fire. I wrote for about 8 years before my first book got published traditionally. I wish I could say it was my amazing mad skills as a writer and marketer, but honestly I was super fortunate to have Barnes and Nobles select I’M NOT HER as the Nook Deal of the Day! Barnes and Nobles has been really great with my books. As mentioned above, I’ve had great support from Barnes and Nobles in the US and Indigo/Chapters in Canada. Independent stores have also been great about bringing in my books(and ebooks). Sourcebooks is also an amazing publisher who really does try to help authors with their brand building and growing readership. I am not as skilled at using social media to meet my readers as many other authors I don’t think. I love Facebook and Twitter and try to keep people updated with what I’m doing or what’s happening with the books. There’s a fine line though where promotions starts to feel like bragging and horn blowing and I worry sometimes that I do too much of that. I love that the e-format reaches a new generation of readers. Less bulk especially when travelling. It’s so much easier to carry a bunch of books on your e-reader of choice. I think e-publishing is fascinating. While I am a true fan of real books, I love the feel, smell and warmth of them, I also love the convenience of e-books. My books are currently e-published by my publisher, Sourcebooks. I have a three book contact to fulfill so I’m pretty focused on those books right now, and Sourcebooks will e-publish them. I would love to look at e-pubbing on my own someday, but for now time-wise, it’s not really possible. I’m glad that the books go on sale periodically, like I’M NOT HER (for $1.99) because I do think that lower price is a great way to get into the e-readers of a totally new audience. I was thrilled when I found out I’M NOT HER went on sale at Nook, and at Amazon! Do you think e-publishing will eventually take over print publishing? How do you see the world of e-publishing for children within the next 5 years? I am not sure I can predict this. I’m old enough that I remember cassette tapes and CD’s and never would have thought that they would become obsolete, or pretty close. I think that e-books will continue to grow. I don’t know the stats off the top of my head, but I’m convinced there’s lots and lots of room for growth in the YA market. I think e-formats help. It’s a way to reach readers who may not have access to the books in a traditional way. It’s a way to reach readers who prefer the e-format. I think any way that we can get or keep people reading is a positive thing! What advantages of e-publishing do you think are most relevant to the children’s literature market? This is another great, thought provoking question. I love that you are looking at the e-publishing world and asking great questions that get readers and authors thinking! I think that the loaning of e-books at libraries is fascinating and relevant to the tech savvy kids coming up in the school systems now. They are seeing e-books on their smart boards at schools and are just so much more open to different formats and media. I think e-publishing is something that is necessary in children’s literature, because that is where the children are growing up. Learn more about Janet and her books at her website, her blog or on Facebook. And learn about more bestselling e-books by checking the Kids' EBook Bestseller List every week. Nina Berry's OTHERKIN -- 3 Weeks, Top 10!